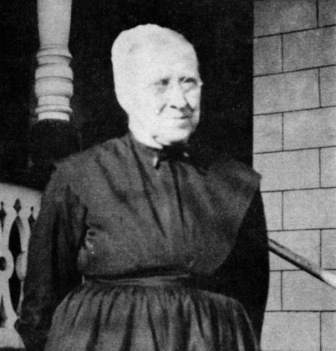 Anna W. Kulp was born October 7, 1865 near Harmony Square, later known as Creamery, in Skippack Township. Her parents were Isaac K. Kulp (1822-1892) and Susanna H. Williams (1823-1871). When she was six years old, her mother died, and young “Annie” went to live with Isaac K. Gottshall and his wife, Sarah B. Kulp, at a nearby farm on Evansburg Road. She attended Cassel’s School at Evansburg and Mill Roads. It was through the Gottshall Freindschaft that Anna met her future husband, Warren G. Bean. Warren, born February 7, 1866, was the son of William J. Bean (1835-1909) and Mary G. Gottshall (1835-1911)—a cousin of Isaac Gottshall. The Bean Homestead was on Green Hill Road (now North Grange Avenue), partly in Skippack and partly in Worcester Townships, along the Skippack Creek. Warren and Anna were married June 4, 1887. She probably began her recipe book shortly before or after that date. There is an index that covers only the first 16 pages, and these pages are in the same style and color of handwriting. Perhaps she copied some recipes from friends and relatives in preparation for going into housekeeping. Warren and Anna as they appeared before marriage. In his capacity as a minister, Warren occasionally traveled on church business, and many times Anna went with him. Both of them kept diaries every year. During the period from 1898 to about 1920, they record details of a number of trips of one to two weeks duration, to such places as Maryland, Lancaster County, and Ontario. It is possible that Anna added recipes to her collection from people they visited on these trips. Their diaries include detailed lists of people they visited. In 1930, they retired from farming and moved to a smaller place in Creamery. Here, with their daughters Sara and Mary, they lived until they died—Anna in 1944 and Warren in 1949. As the only child of their youngest daughter, Marthe, I didn’t get to know my grandparents until they were in their mid-60’s. Although I lived with my parents in Souderton, I spent most of the summers here in Creamery with my grandparents. Although they had “retired” to a smaller place (1 acre), growing and preserving food was still an important part of their lives. Warren tilled almost every square foot of the small place, and Anna, Sara and Mary preserved the fruits and vegetables. I recall Fridays as days of wonderful baking aromas, in preparation for Sunday dinners. Warren remained very active in the church just up the road from their home. Many Sundays the dining room was filled to capacity with visitors who stayed after church for dinner. Three daughters of Anna Kulp Bean–(left to right) Lizzie Bean Guntz, Mary and Sara Bean–photographed in 1959 by Lizzie’s daughter Anna. Image courtesy of Allen H. Guntz. In Annie Kulp’s school copy book are several pages of recipes, which probably date from approximately 1880 or earlier (when she was 15 years or younger). We do not know whether these recipes constituted a writing exercise or whether Annie was thinking ahead. Of the twenty-five recipes in the copy book, nineteen are for cake, one for tea puffs, one for lady fingers, one for waffles, one for crullers, and two for pudding. Recipes from both her copy book and her other cookbook have been transcribed as they were written in the original. Please note that these recipes have not been tested. Try them and send in your comments. take a tea cupful and a half of boiled rice warm it with a pint of milk mix it smooth then take it from the fire stir in a pint of cold milk and a teaspoon of salt beat 4 eggs and stir this in to¬gether with sufficient flour to make a thick batter. 1 lb of sugar 3 eggs ½ cup of butter 1 cup of thick milk 2½ cups of flour 1 teaspoon of creamatartar 1 teaspoon of soda. In the ledger book that became her “cookbook” as a married adult, Annie includes other foods besides cakes and desserts. She has recipes for sausage, leftovers, pickled vegetables and fruits, juices, soap, and bread, as well as many different recipes for cakes and pies. In a 1908 copy of a grocery bill found among Annie Bean’s things, “G Sugar” (white, granulated) was 6¢ a pound, and “B Sugar” was 5¢ a pound; perhaps Annie used brown sugar in her funny cake to save money and because it made no difference in the outcome of the cake. On this same grocery bill we see that the Bean’s bartered their eggs for 22¢ a dozen and bunches of herbs for 1¢ a bunch at the store in exchange for their groceries. The store was C. R. Hunsicker’s in Creamery, which had continued in business until approximately five years ago. Put a little of the knead flour on top. 6 whites of eggs beaten to a stiff froth. A good supply of noodles can be made of the yokes of eggs. 4 qt. elderberries, cover it with Vinegar let it stand 24 hr. then squeeze well through a cloth, boil 20 minutes flavor with wintergreen to 1 qt. of juice put 1 pint of sugar then boil and bottle up tight. Then salt and pepper a little Cayenne then put in strong pickle that will bare an egg, let in this pickle for 9 days. Then take it out and press it with a good weight one day and night then smoke it. 1 cup sugar Vinegar and water enough to cover beans then add the mustard and beans on stove till they boil then they are ready for the Jars.